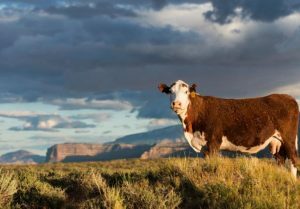 Making of a Herd Bull — the Political Evolution of Southern Utah's Mike Noel — by Todd Macfarlane | RANGEfire! What he didn’t say is that based on recent events, he was in a position to leave at the pinnacle of his political career. Environmentalists, federal bureaucrats, and the liberal media, including High County News, jumped for joy. Farmers, ranchers, and local elected officials in his district wept in despair, insisting that he would be hard, if not impossible, to replace. Just for the record, Noel has only been divorced once, and not from his first wife of 40+ years, Sherry, a dearly-loved registered nurse who worked in southern Utah for over 40 years when she died unexpectedly in 2016. 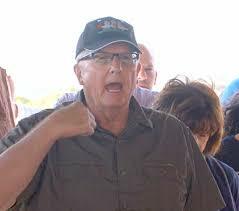 Ironically, Mike Noel grew up as something of a “city kid,” in Ogden, Utah and started working for the Bureau of Land Management (BLM) in 1974. He had a bachelor’s degree in zoology from the University of California Berkeley, and a master’s degree in biology from the University of South Dakota, and had done work towards a Ph.D. in range management at Utah State University. Noel’s first assignment with the BLM was conducting range studies. He was given a government pickup, unlimited gasoline, and the opportunity to spend a lot of time in “the field.” Noel wrote his parents saying, “I’ve got the best dang job” in the world. When Congress passed the Federal Lands Management Act (FLPMA) in 1976, it created an uproar among western ranchers, but Noel saw sense in the newly defined BLM mission of balancing environmental protection of federal lands and resources with the statutory objectives of open public access, multiple use and sustained yield. At that time, Noel was in a honeymoon phase with the BLM and the federal government—they could do no wrong. By 1996, however, Noel’s attitude had changed. Never lacking ambition, drive and work ethic, after he moved to Kanab, Utah Noel acquired and developed a ranching operation—Flood Canyon Ranch— in and around Johnson Canyon, east of town, where he and Sherry raised their family, irrigating, hauling hay and punching cows. But they also watched the local natural resource economy of southern Utah and northern Arizona shrivel as a result of federal land-use policy and management. From the inside, Noel noticed a huge gap between theory and reality when it came to actual land and resource management policies and practices, as federal land management agencies were slowly being infiltrated by people with an environmental preservation, anti-use agenda. By the time the biggest employer in the Kane/Garfield County area—Kaibab Forest Products—had been forced out of business by new regulations to protect the mythical Mexican spotted owl, and had completely shut down its logging operations and shuttered its sawmills in Fredonia, Ariz., and Panguitch, Utah, there was not much bliss left in Noel’s marital relationship with the federal government. Mike Noel the politician was born after President Clinton, standing on the South Rim of the Grand Canyon in Arizona with his Interior Secretary Bruce Babbitt, Al Gore, Robert Redford and John Denver, in 1996 created the 1.9-million-acre Grand Staircase-Escalante National Monument, without ever bothering to consult or invite Utah officials. It is fair to say that irreconcilable differences had suddenly become the defining characteristic of Noel’s relationship with his employer, the federal government. For five years Noel had been working as the BLM’s top official on an environmental impact statement for a large mining project involving a deposit of some 62 billion tons of low-sulfur coal. Known as the Andalex mining project, it was supposed to bring 1,000 new jobs to the region, and be a much-needed boost to the local economy. But the single biggest purpose of the massive new national monument was to stop the Andalex project dead in its tracks and tie-up mineral resources indefinitely. Noel’s half-decade of work was getting flushed down the toilet and it was the final straw in the relationship. Noel was ready for a divorce from the federal government. So he quit the BLM, and took over as executive director of the Kane County Water Conservancy District—a post he still holds. The local economy took an even bigger hit and continued to atrophy under the newly minted GSENM and it wasn’t long before ranchers and their grazing permits were under serious attack, and public access was being seriously limited as monument managers began closing thousands of miles of roads and trails that had been open to the public for more than a century. From the outset, Noel was a staunch proponent of states rights, and a vocal critic of federal overreach. Noel and Habbashaw worked closely together and became the driving force behind an effective effort to protect public access on federal land throughout the state—which really wreaked havoc with environmental preservation plans. In an era when most state and local lawmakers go along to get along and give lip service to protecting local interests while being thoroughly bullied by the federal government on one hand and co-opted by endless federal hand-outs on the other, Mike Noel has been a breed apart. 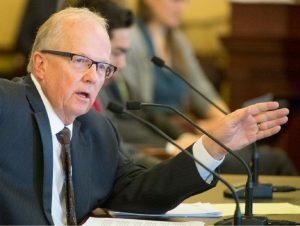 In the process, Noel was dubbed by fellow lawmakers as “The Herd Bull of the House,” and became one of the most powerful and influential lawmakers in the state legislature, with a legislative touch that was about as gentle as a jackhammer. 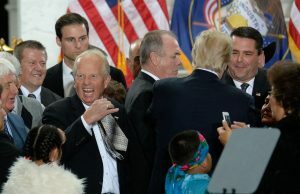 According to the Salt Lake Tribune, Noel built an entire political career out of challenging federal land management, championing rural communities, and sparring with environmentalists. Although die-hard constitutionalists and fundamental property rights proponents may sometimes question Noel’s fundamental principles, no one questions his effectiveness. His record speaks for itself. 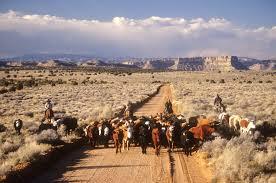 He was a moving force behind the “Transfer of Public Lands” movement, which gained serious traction for several years. Following transfer, he believed those lands should continue to be held by the states, with full public access and managed for multiple use and sustained yield. Under Noel’s vision and leadership, Utah took the lead in that movement, and Noel sponsored key legislation that had very broad support with Utah state legislators, the governor, and congressional delegation, all seeking to see much of the federal land throughout the West turned back to the states. But the second reason was politically insurmountable—President Trump and his new Interior secretary, Ryan Zinke, were against a land transfer. On that score, Trump’s election was bitter/sweet for many proponents of the land transfer movement, including Noel. But his consolation prize was huge success in shrinking two mammoth national monuments in his legislative district. Having President Trump autograph his necktie at the announcement ceremony was icing on the cake. Mike Noel never accepted the massive GSENM and its restrictive policies. And he never gave up the fight. He fought the monument’s existence and management—hard—from start to finish, for more than 20 years. And in the end, following Trump’s election, was finally instrumental in seeing GSENM cut in half, reduced by more than a million acres, and broken into five smaller, more reasonable pieces. Based on his experience with GSENM, Noel also fought against the Bears Ears National Monument, which was also in his district. Although he was not successful in stopping President Obama from creating the monument, following Trump’s election, Noel helped get it reduced by 85 percent, from about 1.4 million acres, to about 200,000. When one of Noel’s constituents and collaborators, San Juan County Commissioner Phil Lyman, was targeted and prosecuted by the feds for conspiracy against the government by helping to organize an ATV protest ride in Recapture Canyon, Noel went to bat for Lyman, and his effective fundraising efforts ended up covering most of Lyman’s legal expenses. As fate would have it, Lyman will be replacing Noel as state rep in District 73. As a result of his outspokenness and effectiveness, Noel was loved by his rural constituents, and hated by federal bureaucrats, environmentalists, and the liberal media. They essentially declared him public enemy number one, and for good reason. Noel has been one of the biggest political obstacles to their growing influence over the last two decades. Here in on the east coast, it is easy to overlook the true issues of the western ranchers (water, BLM, environmental, conservation, etc). It is easy to get sucked into thinking that declaring large tracks of land off limits, the insensitivity of placing and protection of wolves at the expense of ranchers, the dictatorial heavy handedness of the EPA, the militarization of the BLM, and other issues. Thanks for bringing these issues to us. Keep up the good fight and try to find a way to enlighten more of us in here in the cities.